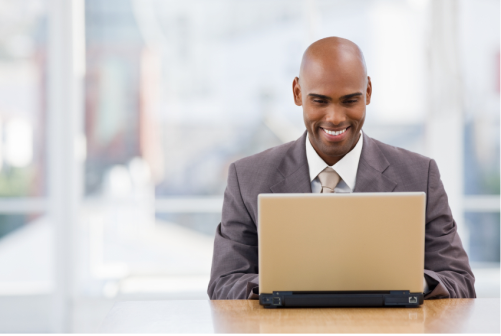 There are numerous ways to conduct an Internet-based interview. Many companies claim to be doing Internet interviewing and at some level they probably are. There are three basic kinds of offerings in this arena, each with their own pros and cons. Remote Interviewing. This is simply using existing technology (i.e., Skype) to conduct an interview where the interviewer and interviewee are in different locations. This obviously saves travel costs and time but is not much more efficient than the typical interview. It still needs to be scheduled and both participants need to be available and present at the same time. The amount of time the interview takes is just as long as if they were face-to-face. The only major savings is travel time and costs. Pre-recorded Applicant’s Responses to Pre-defined Questions. This can work by having an applicant sit at a computer and either read, listen to, or see a question read to them. In turn, the computer’s webcam records the verbal, open-ended response to the question. In this case the company recruiter simply watches and rates each interview question. In this way time is only saved by those who are “failing” the interview early in the questions. In other words, if an interviewee does poorly on the first 2-3 questions then the recruiter can end the interview by simply not watching any more questions, and therefore save themselves some time. If the interview was live it would be harder to cut the interview short. In this case all applicants get the same questions and hear the same information regardless of their interests. In other words, there is no active recruiting other than the same canned information that is presented to all candidates. There are other potential problems with candidates being able to gain access to web cams or deal with troubleshooting issues when the candidate doesn’t know how to operate the equipment properly. In these cases alternative interviews still have to be arranged. Blend of Remote Interview and Recorded Responses. This involves a blend of #1 and #2 and provides the benefits of each without some of the pitfalls. In this case companies create a script of pre-recorded interview questions and responses to the questions that are video-delivered to the candidate via the Internet. Candidates are then able to answer using their keyboard, audio, or video, and based on their answers the “System” automatically branches to the most relevant information for that particular candidate, as well as the most appropriate next question. In this way candidates hear the employee value proposition that’s most relevant to them from the beginning of the recruiting process. All of this is done using a video interview format so the candidate is engaged in an interactive experience. The questions also allow the company to do automatic pre-screening based on certain questions. So the company does not spend time with candidates that do not meet minimum requirements, are not interested in the job, and/or do not have the right experience and background. For more information on this new interviewing technique, check out our other blogs or click here to watch an example.